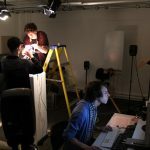 In BA (Hons) /MA Digital Music and Sound Arts you are encouraged to fully explore your creativity in a practice-based course focusing on experimentation and innovation. 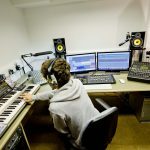 The course provides an excellent foundation for careers in musical composition and sound design for film, TV and video, the games industry, radio, theatre and performing arts, interactive and new media, and sound arts for galleries and public spaces. 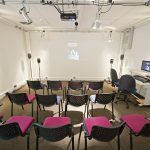 The course places you at the forefront of modern practice in the sound and music world, an environment where technologies are constantly evolving. 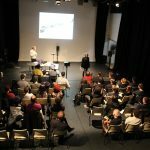 You will be encouraged to engage creatively and critically with the way sound and music is represented in current media and artwork, in the heart of a city renowned for its arts and cultural scene. 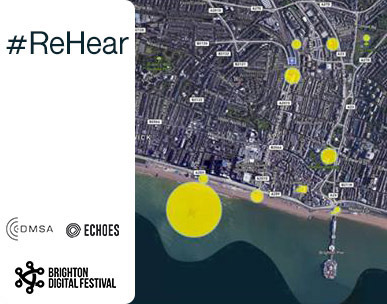 Guided by the research active and experienced staff team, you will explore the use of music and sound in a wide diversity of aesthetic forms and across a broad range of technological media, laying particular stress on the relationship between music and sound and other art forms – and on the exploration of innovative and hybrid sound concepts in both the arts and the creative industries. 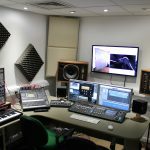 1) Digital Music & Creative Sound Production: covering sound and music in the context of contemporary innovative digital music production, including sound for mobile media, music interface design, generative composition and immersive audio environments. 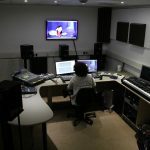 2) Sound for the Moving Image: addressing screen based sound (sound design and composition) work for film, video, TV, the web and video games. 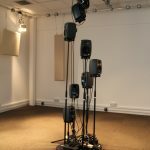 3) Sound Art: addressing sound in relation to other art forms, such as sculpture, installation art, photography, architecture, performance art, environmental art and radiophonics. 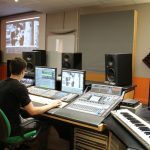 Four modern digital production and post-production studios equipped with state of-the-art hardware and software. Separate workshop area where students build customised instruments and devices. 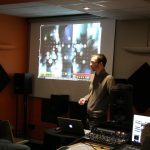 Software used in the course: Logic Studio Pro, Pro Tools, Ableton Live, Pure Data and various open source applications. 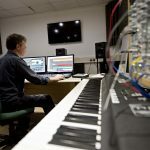 Students will be able to experiment with software and hardware design, enabling them to build their own acoustic, electric or virtual instruments and installations.